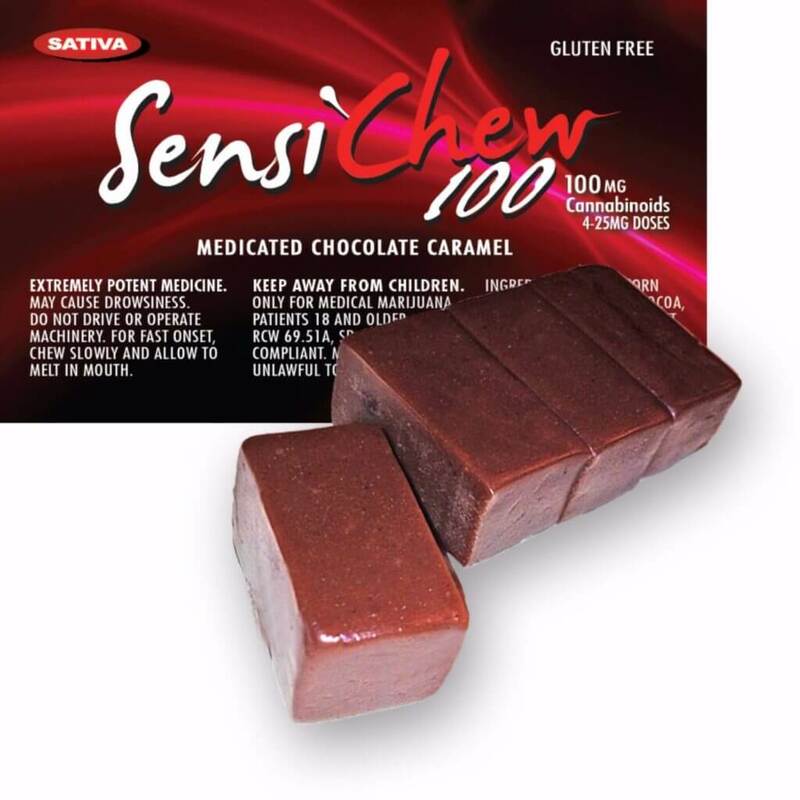 Sensi Chew 100mg Sativa Chocolate Caramel – CHAI Cannabis Co.
Sensi Chew Sativa 100 mg is for patients with pain, who want to be active and functioning, and have a THC tolerance. 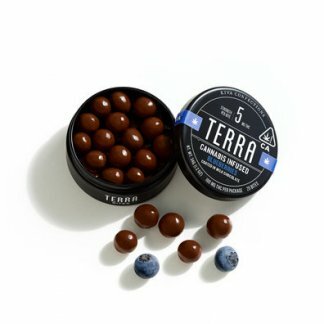 It contains a total 100 mg of concentrated cannabinoid extract suspended in a chewy chocolate caramel. 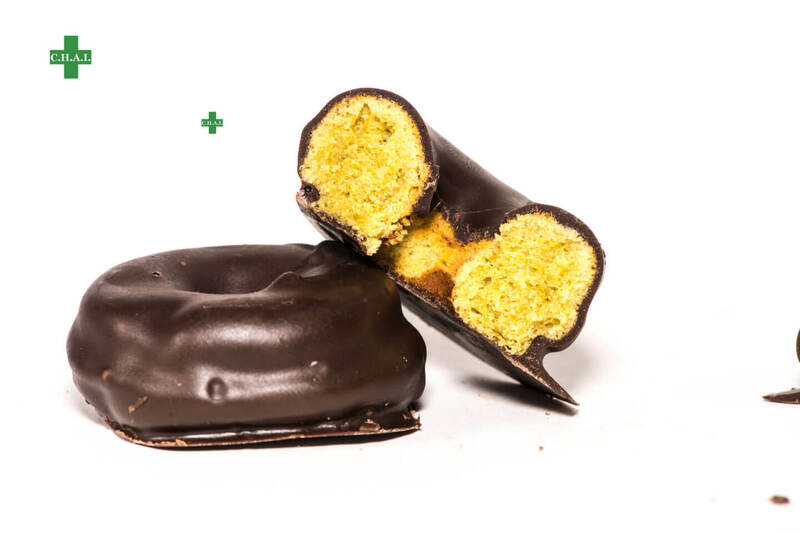 The cannabinoid profile is primarily THC with small amounts of other whole plant cannabinoids and terpenoids. 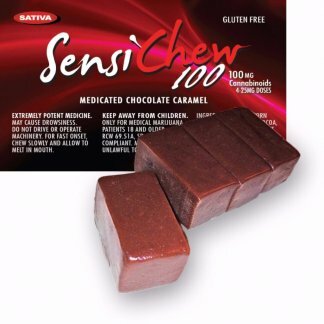 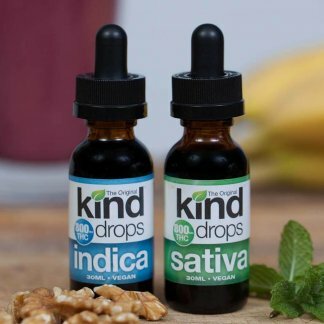 Those who are new to or have a low tolerance with medicated edibles should proceed slowly.